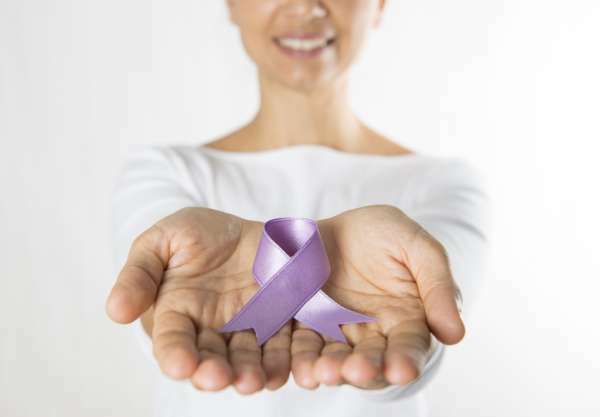 An estimated 1.1 million Canadians are affected by fibromyalgia. May 12th is Fibromyalgia Awareness Day, which is intended to bring both the public’s and doctors’ attention to this chronic pain syndrome. Fibromyalgia is complicated, and scientists are still researching potential causes. Current medicine has discovered that fibromyalgia affects both the nervous and musculoskeletal systems, and that 80 – 90% of patients are women. The condition is unique to each person affected, so the symptoms vary. For example, one person might experience pain primarily in their hips, while another may experience headaches. Some people may also have pain or trouble with their eyes and vision as part of this condition. How does fibromyalgia affect the eyes? A relatively common eye problem due to fibromyalgia is dry eyes. The mucous membranes in the nose, mouth, and eyes can dry up. Dry eyes can be especially uncomfortable for people who wear contact lenses. Using eye drops with vitamin A can help to keep your eyes moist and alleviate discomfort. Patients experiencing visual effects of fibromyalgia could have trouble focusing their vision. Some have trouble focusing while driving, reading, or during other daily activities. Additionally, their visual acuity can fluctuate—one day they may not have any trouble with their vision, and the next their vision may be so blurred that they struggle to read. In fact, some patients have such frequent changes in their vision that they are constantly updating their lens prescriptions. The best way to stay on top of your vision problems is to visit your optometrist whenever you notice a change; they will help you manage your symptoms and find the best treatment plan for you. Some fibromyalgia sufferers can be light sensitive, causing pain and making them squint in otherwise normal lighting conditions. For many, this sensitivity can cause difficulty both inside and outside—some wear sunglasses in both settings because the pain and discomfort are too much without them. You can also speak to your optometrist about getting special glasses for driving or looking at a computer screen. Floaters look like small spots or threads that pop up in your field of vision. People with fibromyalgia can be more prone to these, but generally shouldn’t be concerned unless they suddenly see a lot at the same time. Similar to when you have a migraine, some people with fibromyalgia will see floaters and flashes in their line of vision. This can be alarming, especially when you know there is no light source nearby that’s causing it. It’s important to speak with your doctor about these symptoms. Allowing yourself enough sleep will help your eyes rest and potentially reduce the stress they are under throughout the day. Sometimes closing your eyes periodically throughout the day could also help reduce fibromyalgia-related stress in your eyes. If you have fibromyalgia and are concerned about changes in your vision health, make an appointment with an optometrist at your nearest FYidoctors location.